Every Good Pitch Deck Has These Two Slides; Does Yours? If you’re like me, you’ve seen a lot of pitch decks. I go to a lot of local pitch events here in Denver. Pitches are one of my favorite things in the whole world. They are unyielding fun to listen to, design and critique. I once watched 31 pitches in 24 hours, and it was glorious. When I think about all of the pitches that I’ve seen or helped with, there are two slides that exist in every good pitch deck. And, there is one slide missing in the majority of the bad ones. You may have noticed yourself that almost every pitch you see has a problem and a solution slide. But why? Is it because some VC somewhere decreed it shall be so? Is it because of human nature? Does it have to do with storytelling? Does everyone have some secret list of the perfect slides and they are not sharing it with you? No, none of these. The reason we always see a problem and solution slide in every good pitch we see is very very simple. Before we answer the question of “Why”, let’s fist cover what I mean when I say “problem” and “solution” slide. This slide lays out the problem or challenges that a company’s customers face. It give the investor a view into the life of those individuals or businesses, so that they can feel the pain this group faces, even if they are not a member of that group. For example, I was putting together a deck for a Cross Fit related App sometime ago. They were pitching primarily to technology investors and not necessarily workout enthusiasts. Their problem slide contained information on who their customers were (CrossFit Enthusiasts) and what issues they faced challenges with (it was difficult to stay motivated to work out leading up to amateur competitions). The problem slide does not always have to contained on a single slide. Many times in short pitches, it is just one slide. But oftentimes it is not. For example, platform based models–businesses who serve or connect two customer groups–often split out their problem slide into two. For example if you imagine an Uber for Dogwalking App (yes, I’m sure there are already several of those on the market), they have two major customer groups: Dog Owners and Dog Walkers. So they lay out the problems that each one of these groups face; Dog owners find it hard to walk their dog when busy at work, and dog walkers find it hard to find and retain clients. Laying out the challenges that each side faces, will help us to connect their problems in a unifying solution that solves them. Another very very common slide or slides that you see in every good pitch is the solution slide. The solution slide usually answers the question “What do you do?” It is the culmination of the problem slide. It is the positive answer to the problem slides question. It is the light, the high point, the future, when compared to the problem slide’s low and painful nature. The solution slide contains information on what the company is building / doing / selling. And it talks about how that product or platform solves the problems laid out. If you leave the audience wondering “but, what do they do?” at the end of the pitch, you haven’t done a good job. Keep an eye out for basic clarifying questions around “what it is” “how it work” “how it’s for”, these are signs that you did not make your solution clear. A good solution slide focuses on benefits not features. Meaning, when you discuss the solution your company provides, talk first about how that thing benefits the people who use it. What does their life look like once this concept comes to fruition. How are their lives better? A lot of founders mistakenly focus on features instead of benefits. Features are the user rights management options, and the 24 hour uptime, and the extra durable stitching. These are all great things for your tool / product to have, but what is more valuable is the benefit these things provide. The benefit that admins can have more control over what their users have access to. The benefit that customer can feel safe and secure with their website. The benefit that the hiking books are the most durable shoes and will take them on many adventures. Customers do not buy products for features. They buy them for the benefit said feature will provide them. There are a couple of reasons why the Problem and Solution slides are such important slides in good pitches. First, the solution males no sense without the problem. As an investor or an audience member, I can’t understand your company and your solution, unless I first understand the lives of the individuals or companies who you think will want to use it. You may currently have customers, or you may have a totally new concept that you’re hoping to turn into a business, either way giving your audience insight into your customers and the issues they face, is the only way to provide context for the solution. Second, the problem slide lays a foundation for the solution and therefore your company’s value, worth, future success. When you don’t talk about the challenges your customers or customer groups face, your audience will not be bought-in to what you’re pitching. Only entrepreneurs who lay out objective, fact-based, and statistically proven problem slides will be able to convince investors that there is something there with this business. Third, no company can be successful without solving a problem. You are solving a problem. Your customers don’t buy something just because and for no reason. Almost all people work hard for their money, and do not go blowing it on things that do not fill some void or perceived void in their life. So, companies who build something cool, just to build something cool, will likely have a much harder time getting customers. The best pitches are the ones where the audience is bought-in and the investor is ready to pull out his/her checkbook. They won’t do that unless there is some evidence for the fact that someone will buy the thing you’re building. Fourth, if a founder forgot his solution slide, the one that answers the question “What do you do?” most succinctly, then at the end of the pitch the audience is left wondering “so… what do they do though?.” And that is one of the worst things you can leave a viewer thinking about your company. The most basic thing you need to convey in any pitch is, what exactly you are doing / building / selling / etc. Another Final and fifth reason whey the problem and solution slides are always in good pitches relates to the ying / yang affect of their sentiments. A problem slide is negative, it is painful, it is down in the dumps. And the solution slide is bright, hopeful, the light at the end of the tunnel, the positive answer. In this way they pull on and play with your audiences’ emotions. When you oscillate between positive and negative emotions, you bring people along on the journey with you. According to Nancy Duarte, this cadence is a pattern some of the greatest orators in history used; Steve jobs, Martin Luther King and others. Alert Alert! This is very important and often missed by the average founder. The problem and Solution ore two different slide. “Duh, I think we got that” I can hear you saying. But no, let me repeat again the Problem and Solution slides are two totally different slides. The content on these slides is totally different. I cannot tell you how many times I see people mix up these slides. Clearly option 2 is the better problem slide. Option 1 is simply the opposite of a solution slide. It is saying “well, we have a fast processor so our customers are the ones that want a fast processor.” That’s not right. There is ALWAYS an underlying problem or pain point to every client want or need. You need to dig deep enough to find it. If you find yourself doing this, just ask “why?” a few times and you should be able to “find” it. The customer needs a faster processor… Why? Well, they need to do things faster… Why? Well, they have limited time and need to be more productive. There you go. Clearly option 3 is the better solution slide statement. Option 1 is simply a feature and is not focused on benefits. Option 2 is really just the feature mixed with the problem statement. But, option 3 is a solution statement that conveys the benefit to the customer. It is clear why the customer would use it. From this statement we could get into even more detail on what their life looks like with your solution, even adding success metrics like “they are 20% more productive.” etc. Does Your Pitch Have the Two Most Important Slides? Think about your own investor presentation or startup pitch. Did you clearly lay out the challenges your customers face in a problem slide or two? Did you make sure it was objective, fact-based and clear? Did you really hit the high note on the pain your customers face? How about the solution slide: Did you clearly convey to your audience what you do? Did you focus on the benefits to your clients not the features that you’ve built? Have you kept the two separate to ensure that you get buy-in? If not, take some time to really flesh out your buyer personas. Who do you sell to? Why do they or why would they buy? Take polls or surveys to validate your assumptions or to better understand your future customers. Really be clear on why what you’re bringing to market is worth spending money on. Ask previous customers why they chose you or what they think about your product. These are all great ways to make sure you’re covering these key slides in your pitch. Still not sure if you’ve really got it?  We offer pitch review and coaching services to help entrepreneurs find out where they are missing key information in their pitch. Our expert coaches provide feedback and key recommendations on the content covered in the pitch, story telling and how the pitch flows, your public speaking skills, and even add tips on better pitch deck design. You won’t find a better way to be SURE that you’re well prepared for your big pitch.